Now friend, get ready. 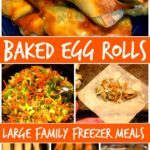 This easy baked egg rolls freezer meal is amazing. I bought the egg roll wrappers in my last Walmart grocery pick up order and could not be happier with how this freezer meal turned out. They were a crispy perfection of egg roll goodness! I ended up making two different types of baked egg rolls on my last EXTREME FREEZER COOKING day. I made 60 of a vegetable chicken variation and 60 of teriyaki sausage & vegetable flare. 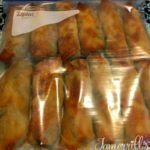 My family ate several the night I made them and we still put away many gallon size freezer bags of the baked egg rolls for upcoming freezer meals. These are great for a quick lunch or dinner meal or as a side item, too! 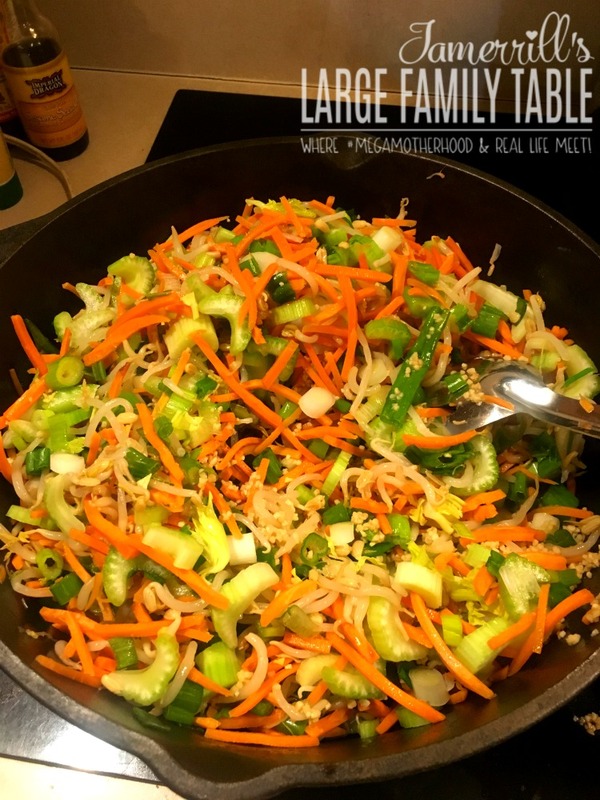 If your family enjoys Chinese food then you’ll love this homecooked treat! 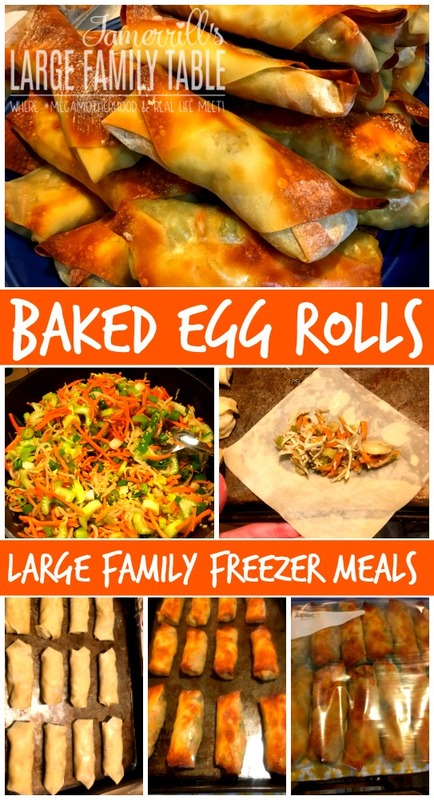 These Chicken & Vegetable Baked Egg Rolls are delightful for the whole family. This is a large family recipe that makes about 60 egg rolls. In a large pot or dutch oven combine 2 cans water chestnuts, 2 cans bean sprouts, 8 cups shredded carrots, 4 cups chopped celery, 4 cups chopped green onions, and 4 tbs minced garlic. Cook until above-listed ingredients are softened, then mix in precooked shredded chicken. In a separate mixing bowl whisk together 5 tbsp cornstarch, 5 tbsp soy sauce, 5 tbsp Sesame oil, 2 tbsp ginger paste (or powder), 5 tbsp water, and 2 tbsp olive oil. Once step 2 is completely mixed add to chicken and vegetable pot, bring to gentle boil and stirring often. Fill each egg roll wrapper with about 2 tablespoons of the completed chicken and vegetable mixture. Wrap gently and place on non-stick sprayed baking sheet. Preheat oven to 415 degrees. Bake egg rolls for 15 to 20 minutes, until brown and crispy. 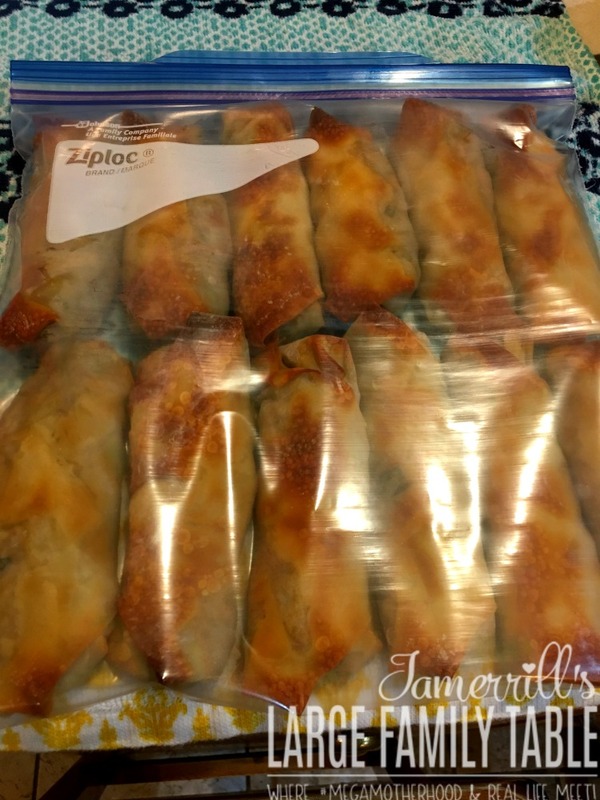 Here’s a picture (below) of one of my packs of baked egg rolls ready to go in the freezer! 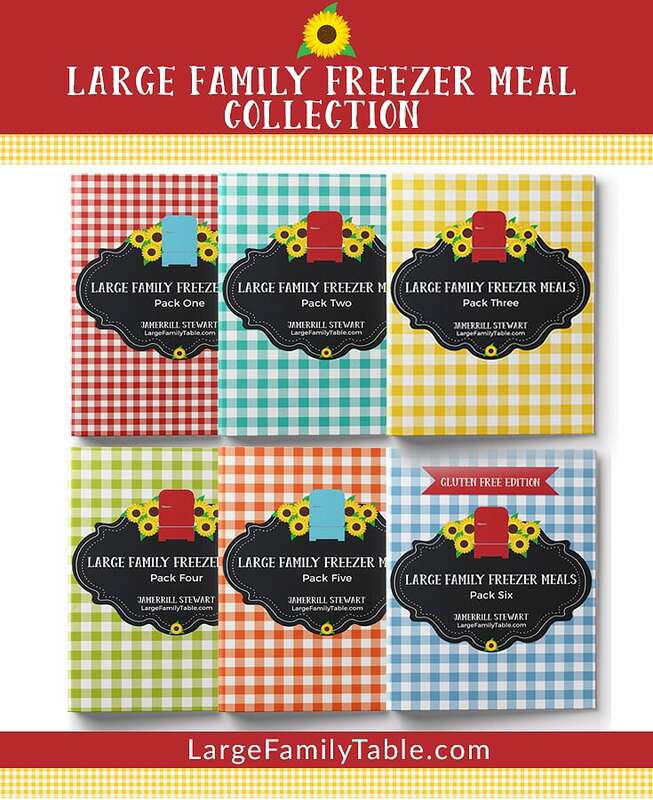 Here are many more large family freezer meal recipes. And don’t miss these *massive* freezer cooking days!